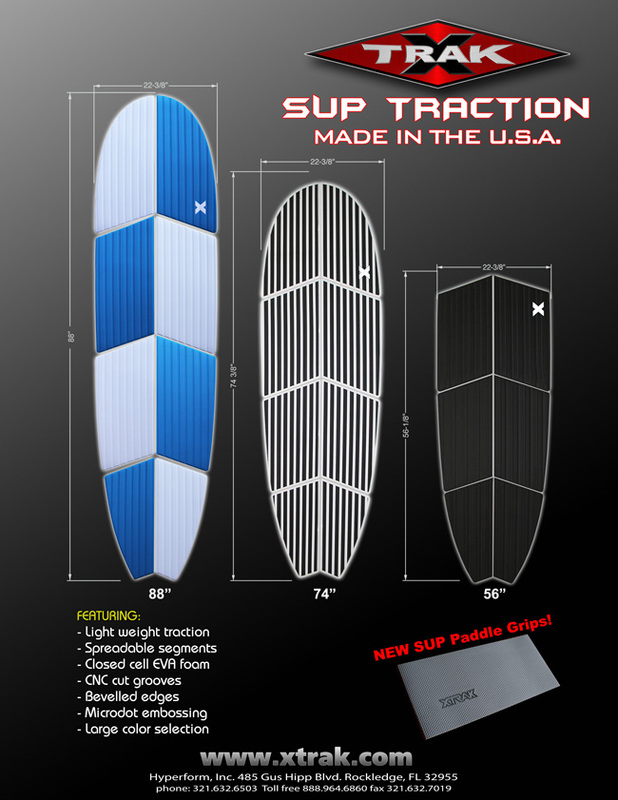 X-Trak SUP traction pads are simply the highest quality pads on the market today. These are not cookie cutter pads made overseas with inferior materials. Our pads are renowned for their quality, function and innovative design features. 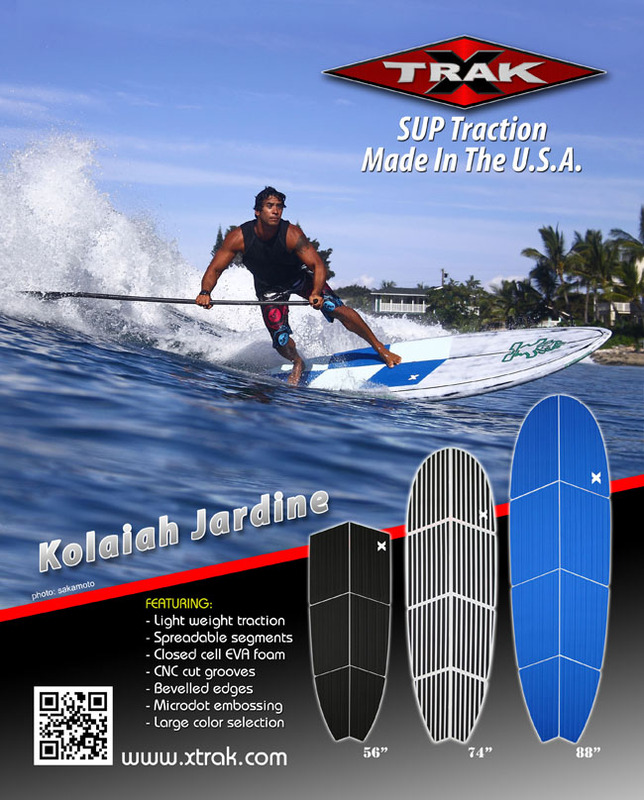 With lightweights EVA foam, CNC traction patterning and the most advanced marine specific PSA (pressure sensitive adhesive) on the market, quality and performance have always been our first priority. 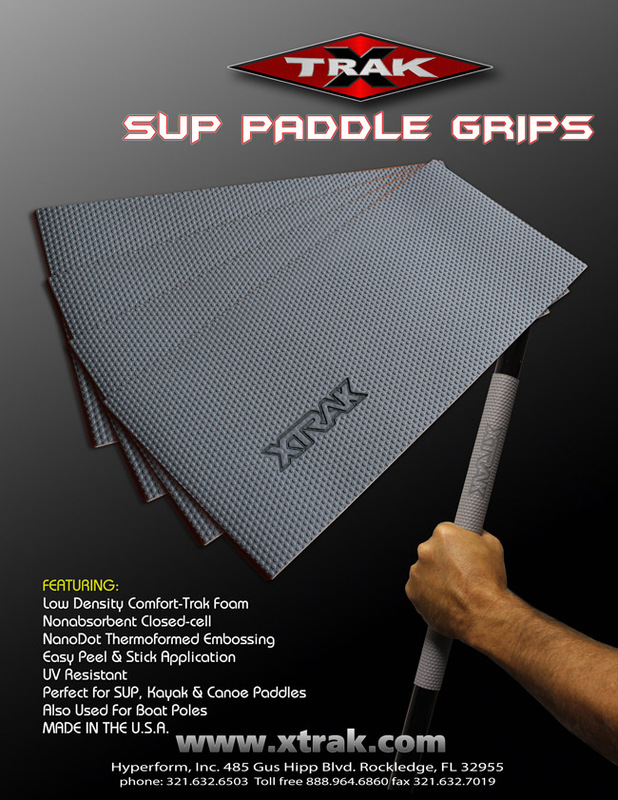 We start with a low density EVA foam that is extremely comfortable while still providing a solid padding. Next our thermoformed microdot embossing is applied to creates an secondary traction pattern while also rounding off the sharp edges of the groove patterns making them even more comfortable. The next step is precision CNC knife cutting and beveling of all outer edges to prevent hang ups and give the pads a finished look and feel.